The Case IH 210 Puma Tractor features working cab lights, realistic engine and reversing sounds and has active steering which can be accessed either through the open rear cab window or by detaching the cab. The bonnet can also be opened, there is a height adjustable rear hitch and realistic tyres. 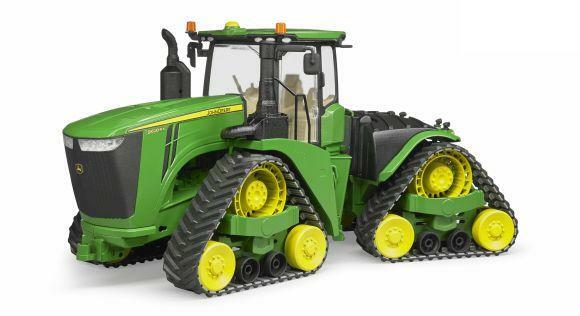 Complete with batteries so it is ready to run; the tractor is compatible with implements from the Britains Big Farm range and other 1:16 scale plastic farm play toys.